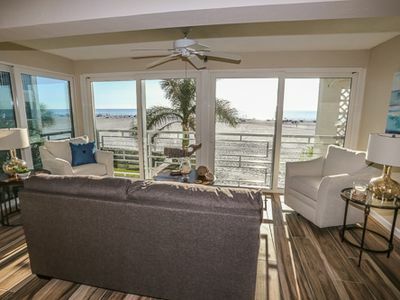 100 Steps or less to the beach! 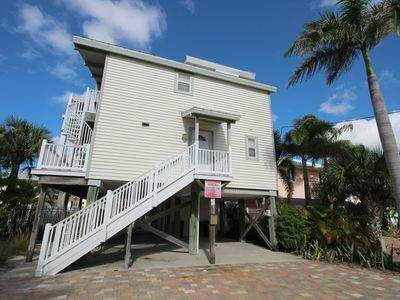 100 Steps or less to the beach! 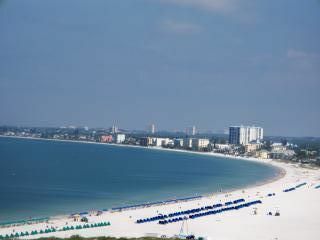 Partial Gulf Views! 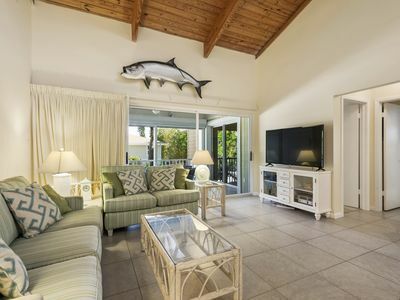 Listen to the sounds of the surf from the spacious two bedroom/two bathroom condo with a loft. 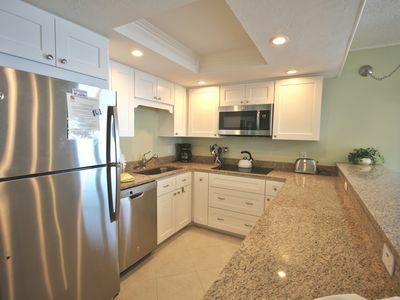 This spacious condo has an updated kitchen with everything you need to make a great meal. 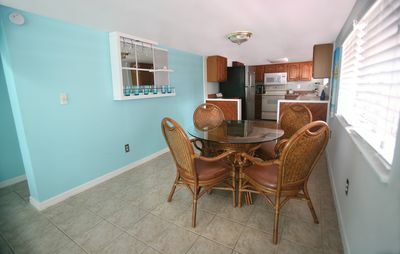 An open dining area with seating for six overlooks the living room and lanai. 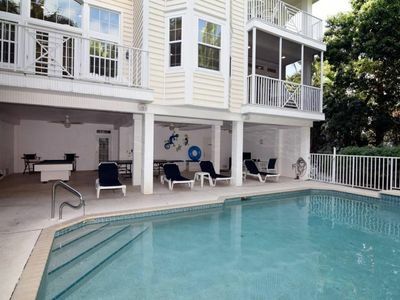 Cathedral ceilings and open living room with flat screen TV and views of the water. 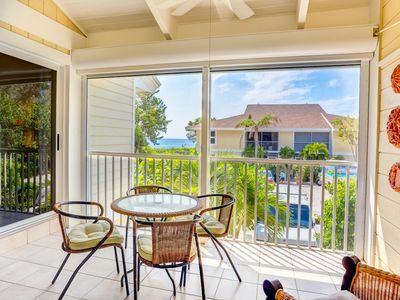 The large lanai overlooks the tropical grounds and has partial views of the Gulf of Mexico. 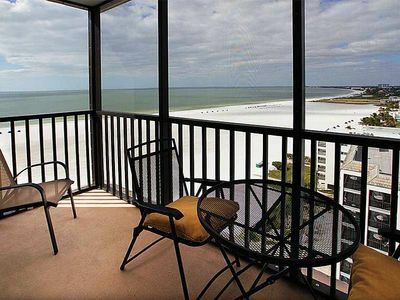 The large master sweet also has views if the Gulf, a king bed and a master bathroom with shower. 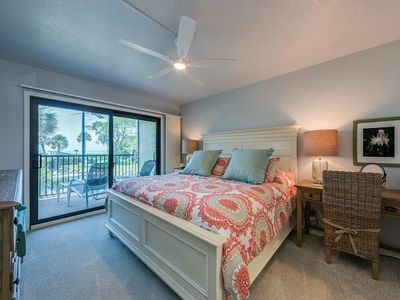 The first guest room has large closets, a flat screen TV and twin beds. 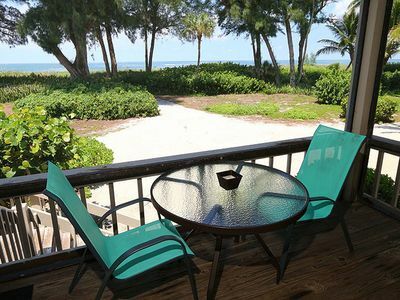 The loft area overlooking the lanai also has amazing views and two twin beds with trundles. 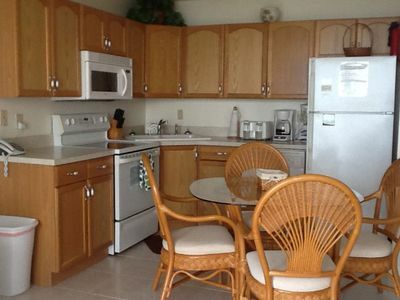 A spacious, bright clean condo on the beach ! 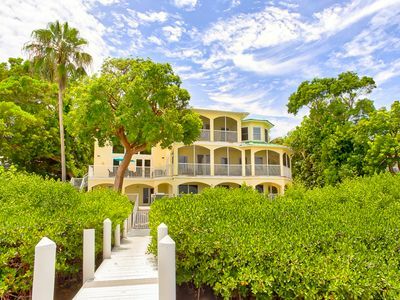 Villa Sanibel is a small beach front complex with tennis courts, heated pool and gas grill. Central to bike paths, shopping and restaurants. 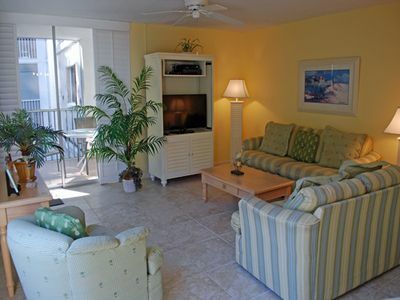 If you are looking for a quiet, beach vacation this is the perfect West Gulf condo! 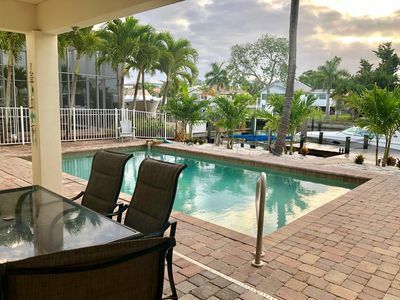 Beautifully Remodeled Beachfront Condo Now Listed at 20% Off for Weeks in April 2019!!! Book Now!!! 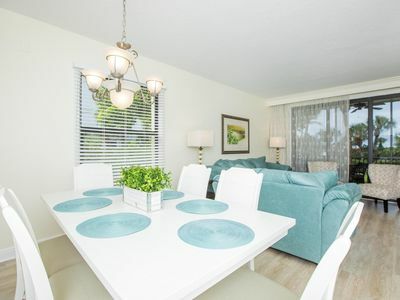 This beautiful, oceanfront, remodeled condo at the Privateer satisfies your every need. 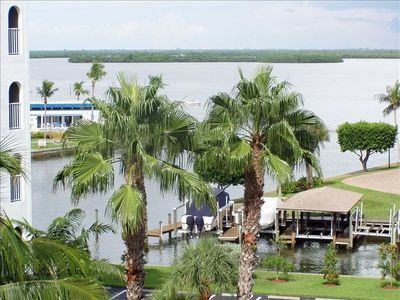 Sweeping views of the Gulf of Mexico prevail inside allowing you to watch the birds and boats sail by. 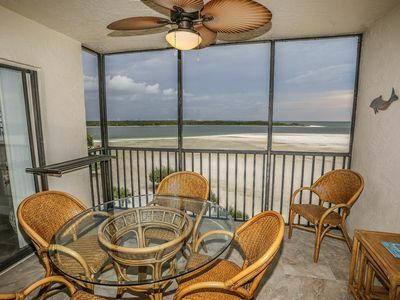 Penthouse Unit at Island Winds! 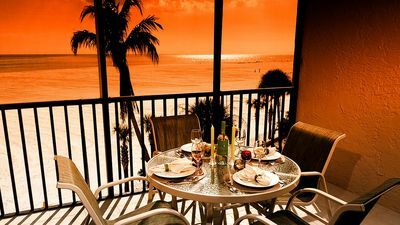 Enjoy the Sunset Over the Gulf of Mexico from PH 21's Lanai!!! 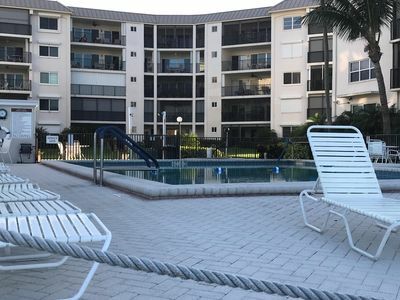 CLICK FOR REVIEWS!